Are you looking for a unique way to make your kitchen or dining room classy, cozy and hospitable? 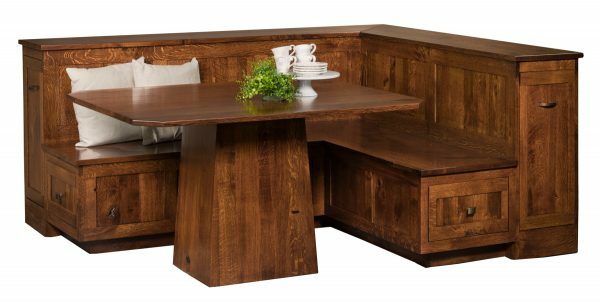 When you’re searching for furniture options to extend your seating space and customize your home, an Amish breakfast nook area is a comfortable and stylish addition to your home. 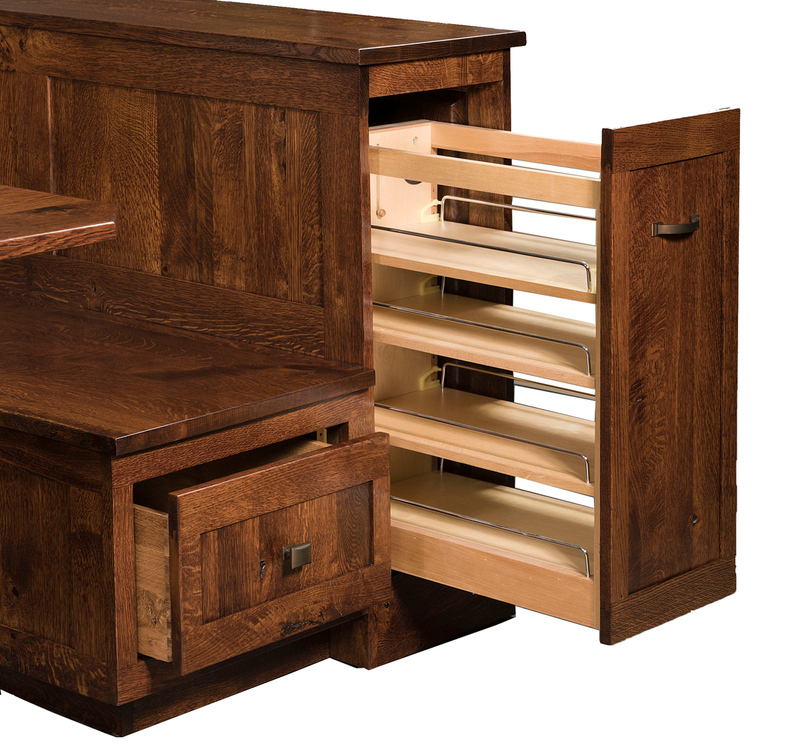 Our Newport Nook Set from AmishOutletStore.com is made with expert craftsmanship and classic country style to transform your kitchen or dining area and expand your dining options. When you purchase a Newport Nook Set from AmishOutletStore.com, we offer you the opportunity to customize your set to suit your home and match your style. Choose from Oak, Q.S. White Oak, Hickory, Brown Maple and Cherry in one of 24 light or dark wood stains. With our variety of options, you can make sure your breakfast nook set matches your other dining furniture and kitchen cabinets to complement your home design. 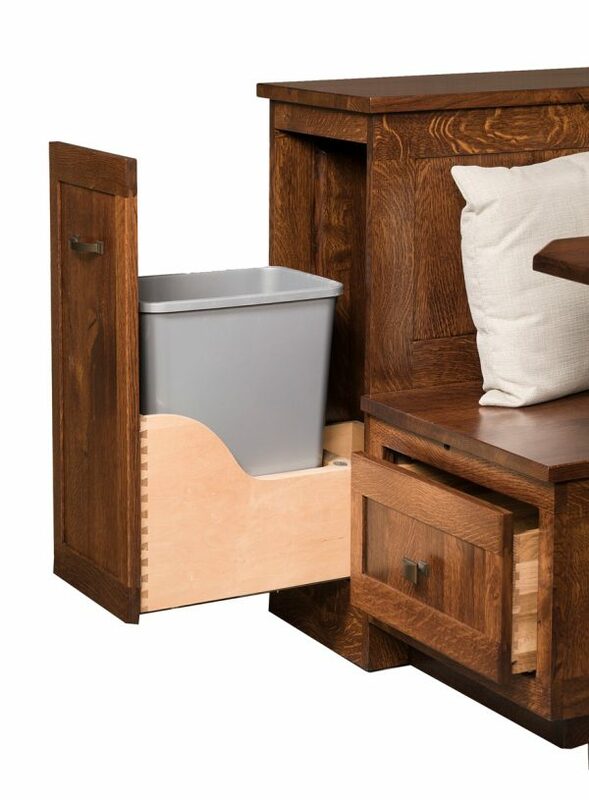 Our nook set comes complete with finished backs, shelves, drawers and pull-outs on either side. 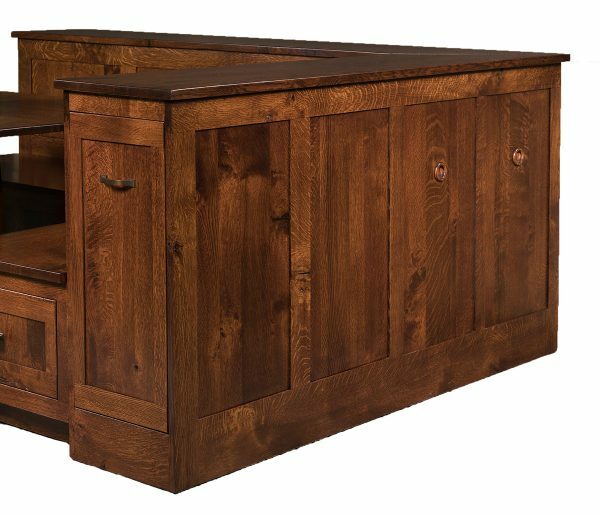 At AmishOutletStore.com, all our furniture is made with the highest quality of wood and handcrafted by expert Amish craftsmen with a lifetime of family experience. Purchase your Newport Nook Set online today and save up to 33% on the retail price.